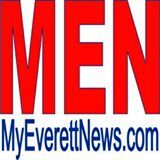 The City of Everett, in partnership with the Port of Everett, makes Jetty Island available to the public with a free ferry shuttle program between July 5 and Labor Day weekend. The ferry departs seven days a week from the Jetty Landing and Boat Launch, which accessible from 10th St. and W. Marine View Dr. The ferry hours are Monday – Thursday 10 a.m. – 6 p.m., Friday and Saturday 10 a.m. – 9 p.m. and Sundays 10 a.m. – 7 p.m. Everett residents can avoid long waits by reserving their spot at the Jetty Kiosk by calling 425-257-8304. At a minimum, don’t forget sunscreen, water, snacks (no food on the island) and a change of clothes for everyone in your group. As a reminder, parking is $3 Thursday – Sunday at Jetty Landing. Stop by the market to eat before going to the island, or pick up something for dinner on your way home.